Plan B entered the public eye as a rapper, but it's as a soul singer that he has conquered the charts. 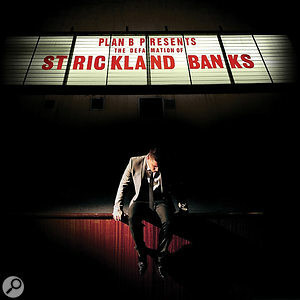 He and his production team revisit the tortuous story behind The Defamation Of Strickland Banks. "I was always a soul singer,” insists Ben Drew. "I always wrote soul songs before I started rapping. But I knew that in order to have a career in music, you had to go and perform your stuff live, and I had problems singing live. I'd stare at the floor and mumble the words out. My manager at the time constantly kept on putting me in at the deep end, and I wasn't improving. I felt like I was going on that stage and embarrassing myself. I don't think it was that bad, but it wasn't up to scratch. I'd never been trained as a singer, so nobody had taught me about keys or anything. That infrastructure wasn't set in place at any point. Drew is explaining the artistic volte face that saw him abandon the angry rap persona behind his critically acclaimed but poor‑selling debut album, Who Needs Actions When You Got Words. In choosing to follow it up with an album of retro‑tinged soul music, The Defamation Of Strickland Banks, he was really returning to his first love — and scoring a number one hit into the bargain. 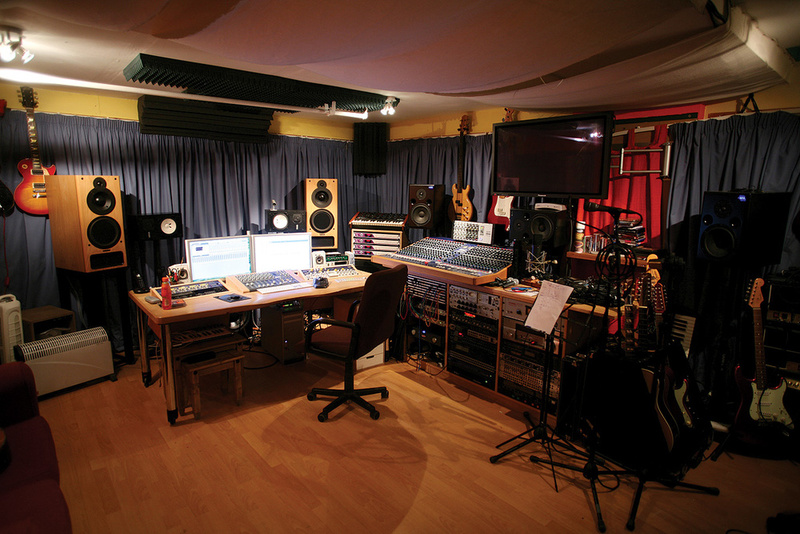 What is now the control room at The Sanctuary was set up as the live room during the recording of The Defamation Of Strickland Banks. Concerned about moving to a new musical style without alienating his existing fans, Ben Drew hit upon an ambitious solution. "I always said I wanted to do what I call a film for the blind, which is taking what I do in hip‑hop with storytelling, but making a whole album about one story, where all the songs are different scenes. And I figured if I tell a story about a soul singer, and devise this concept, it means I can do it 50 percent soul, which will be his story through his eyes, and 50 percent hip‑hop, which will be Plan B narrating what's happening to him. 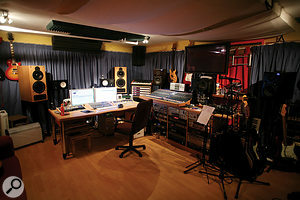 The bulk of the material on The Defamation Of Strickland Banks was recorded by David McEwan and Eric Appapoulay (who also played bass on the album) at their own studio in South London, The Sanctuary. Partly because they were simultaneously working on its hip‑hop counterpart, the production process took more than two years. 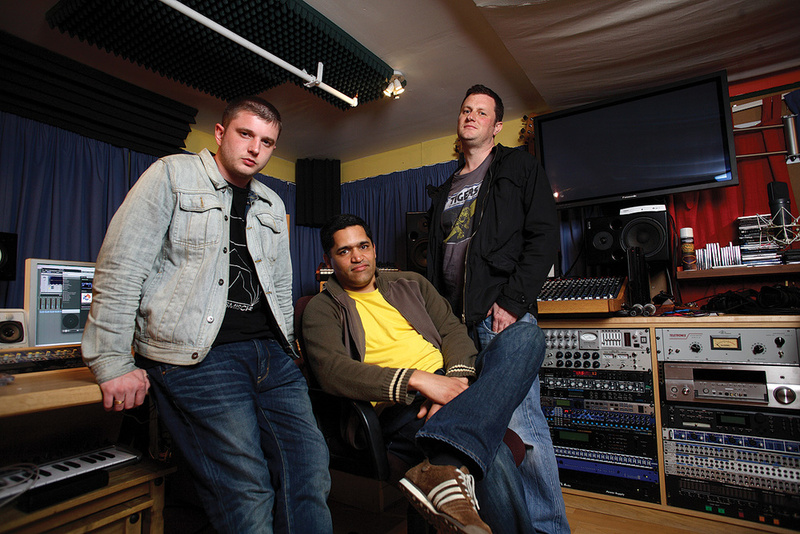 However, the 'sound' of the album was defined in a day thanks to producer Paul Epworth, who had worked on the first Plan B record. 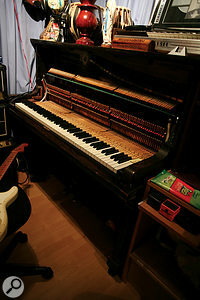 His knowledge of retro production techniques yielded a demo recording of 'Writing On The Wall' that made it to the album almost unaltered. Epworth takes up the story: Paul Epworth's work on 'Writing On The Wall' gave the team a sonic template to work towards in later sessions. "'Writing On The Wall' came about after Ben told me he had 'this song' and he didn't know what to do with it. 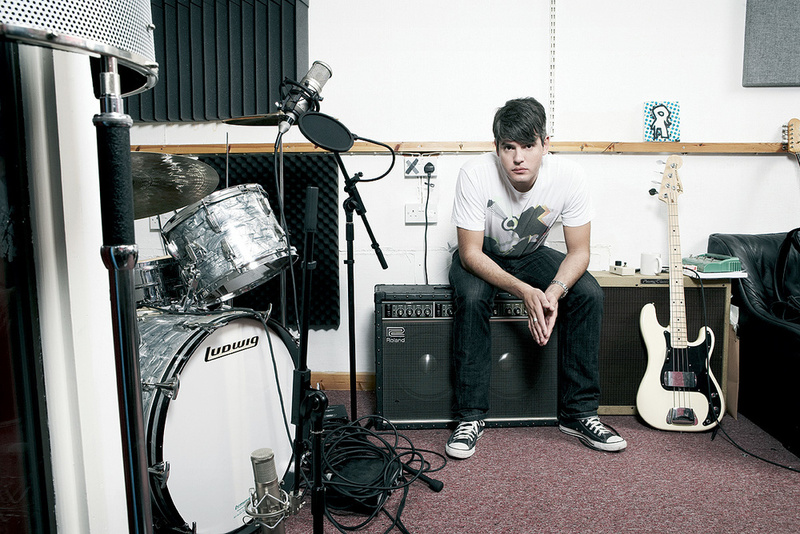 The strength of Ben's songwriting was the big surprise for me. When we worked on the last record, it was clear what an amazing voice he had, but the major difference was he'd sung a lot of other people's hooks. The moment he played me the song I knew it was a killer track, but needed a dirty authenticity to it to stop it coming off as a straight pastiche. 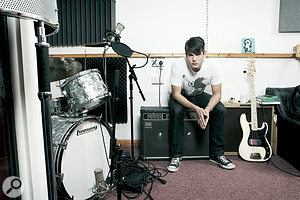 "Ben came to my little studio in West London and we figured out a tempo and a groove with which to do the track justice. Ben went away and recorded some parts in an effort to provide parts with which we could easily work, but when he returned I decided it was important to record the track mostly from scratch. "Bearing in mind that this was just a demo intended for record company ears only, I played drums on the track. We used a [AKG] 414 on the kick drum, an AKG D19 overhead, a Rode Classic on the snare and a cheap Chinese U47 copy as an ambient mic hanging from my ceiling. 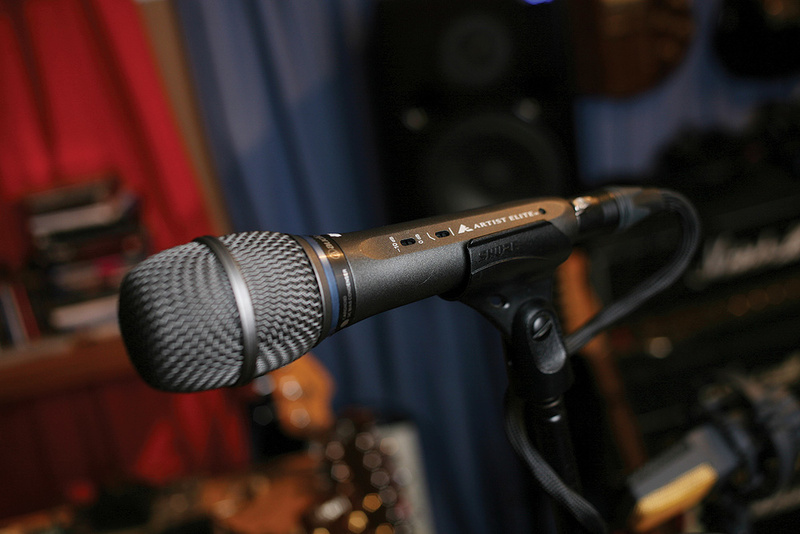 The Rode Classic was patched into a Universal Audio 6176 with a bit of compression and the rest used the mic amps on my Apogee Ensemble. Recently I've been using Apulsoft's Aptrigga on all my drums. 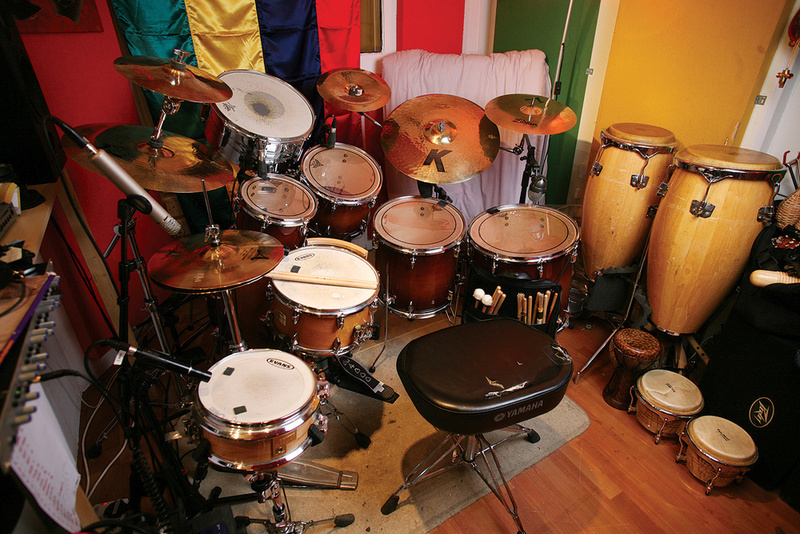 It's genius and means you can get some interesting grooves from old loops using new sounds. In this case I used it to augment the drum sounds, using a kick and snare from my sample library, giving the kick and snare extra punch and weight. "I'm in love with the [Universal Audio] UAD2 cards, and I've used the RE201 and SPL Transient Designer on most of my drums for ages. I love the Logic Overdrive [plug‑in] on most everything, as it adds a tape‑like distortion to sounds and you can EQ into it for coloration and use the tone as a 'bias' control. I bussed up the drums through Izotope Vinyl for a bit of degradation and then compressed through a UA 1176 plug‑in, leaving the Aptrigga sounds out of the bus so as not to flatten the overall mix out. "Ben called in his band, starting with bass, and we laid down very specific parts in an real old‑school fashion, using 'C' shapes on the rhythm guitar and high stabs to back the snare. I've studied over the years how these older musical arrangements were put together, and it's as key to the authenticity as not double‑tracking. To double‑track would mean it dated the record to the availability of the available equipment, just as a digital reverb or sampler dates something as post-1980 (ish). "It was mixed in Logic on a Macbook Pro — always the way these days. I balanced the original lead vocal through a [UAD] Pultec Pro and Fairchild into yet another UAD EMT 140 plate, using a little 60ms tape delay with no feedback to give it some space off the vocal, and put varying amounts of everything else into the RE201 plug-in, including bass guitar. We added some MIDI strings and brass and used one of my string samples played in on the [Akai] MPC2500 to lift the chorus, put an SSL bus compressor over the master, a Logic Adaptive limiter, and bounced it. 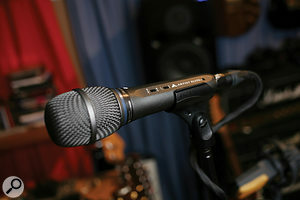 The studio's TL Audio M4 Tubetracker is the main route by which signals arrive in Logic. 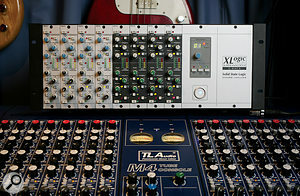 Compression and gating is often applied at source using the SSL X‑Rack. "I was forever saying 'This needs to be sped up, we need to change the key of this,'” adds Ben Drew. "We'd put down a whole backing track and then I'd realise it wasn't in a comfortable key, but I'd love the way the parts were recorded, so I'd try to make them slow the track down or speed it up, or change the key, which was a bit of a nightmare. But there's something to be said about demo‑itis — a lot of what we did was done by feeling. When we first started we were just working with Eric, and I loved the mixes. Obviously, I'm sure they were still 40 percent away from being finished, but nothing was jumping out, everything was at a nice level and coherent, and you could really hear the vibe. It was less about hearing than about feeling, and that's why I used to get very attached to the demos. And that's why a lot of the stuff that we've done was straight from the demos: it was the first version we'd done, and we just added on top. "I get pretty 'German' about things. If one EQ changes on one vocal, it knocks everything out of balance for me. I don't know what to do with the buttons, so it must be a nightmare for him, because sometimes I'm explaining things to him with weird sign language, and he has to try and work out that means. Laying down the basic tracks posed stiff demands of Eric Appapoulay, who was simultaneously engineering, playing bass, and trying to make sense of Ben's instructions. "It was just Ben and myself and Richard and Tom. We would be in the room together, Ben'd be on his acoustic guitar in that little doorway bit with his mic, setting down the guides. I had guitar in the Fender Twin, drums just clean, and then the bass I put through the LA2A, because I love the way it warms it up. Then we were using the bass amp as well, because we had the whole band in one room — the control room was in the drum room that you see now — so we were jamming like in a rehearsal. It had a band feeling, like Motown, where they just used to sit in one room and record together. That was the idea with this place, I wanted the whole band to feel like it was a gig scenario, playing as a band. Other plug‑ins that saw a lot of use included the Wave Arts Multiband ("I use it mainly on the drum busses but I also like to use it on anything that gets too harsh — the odd skank guitar line or crunchy room mics.It keeps things warm and doesn't use loads of processing”) and Trackplug ("A brilliant quick hit on the kick, snares and toms as it has an EQ, gate and two compressors ready to roll and it sounds great to me”), and Izotope's Ozone: "I know it was designed as a mastering tool, but I just love being able to solo the area of EQ you're trying to find by holding Alt and clicking. It's just a fantastic surgical EQ, I bypass all the other stuff and just use the EQ. Mark Rankin mixed the bulk of the album, mostly within his Pro Tools system. 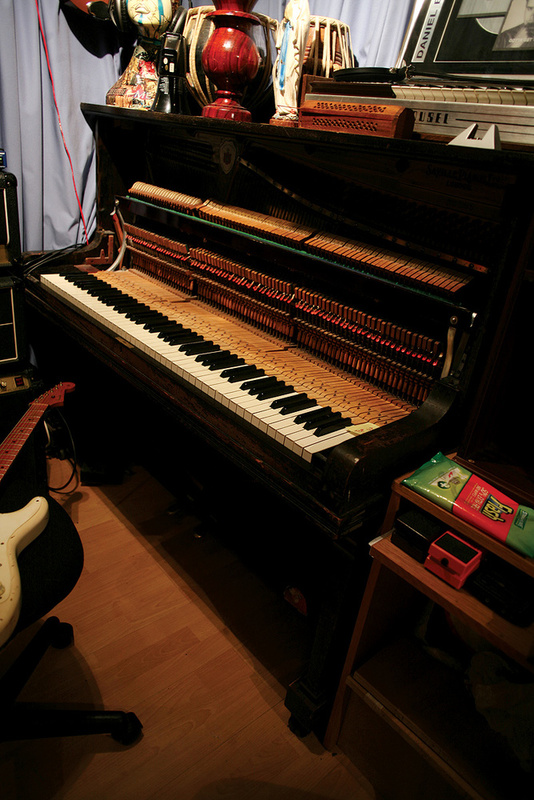 After much overdubbing, reworking and agonising, the songs were eventually handed over to Mark Rankin to mix. 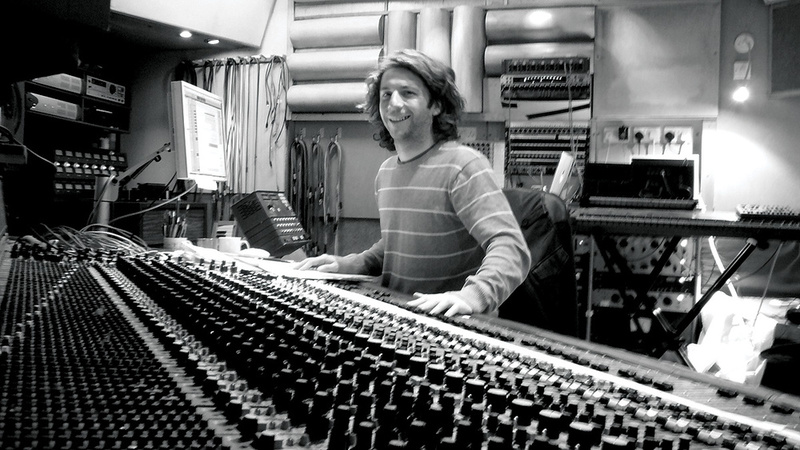 Rankin had engineered the three Paul Epworth‑produced tracks on the album, so was the obvious choice. "Motown was the brief, really,” begins Mark, "but not in the conventional, obvious sense. 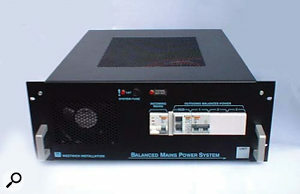 It was more the recognition that those mixes are really powerful, and that that power is achieved by a very particular balance. The bass really drives the tracks, and of course, trying to get a similar vibe to their echo chambers was quite important. A lot of it was actually achieved using the reverb from a Roland Chorus Echo, which has such a great character. "They had been recorded in Logic, so all the files were bounced from there. We had the Logic sessions to refer back to, but it was a case of importing the files into Pro Tools and starting from scratch — which I kind of prefer, as it's like working from a clean slate. 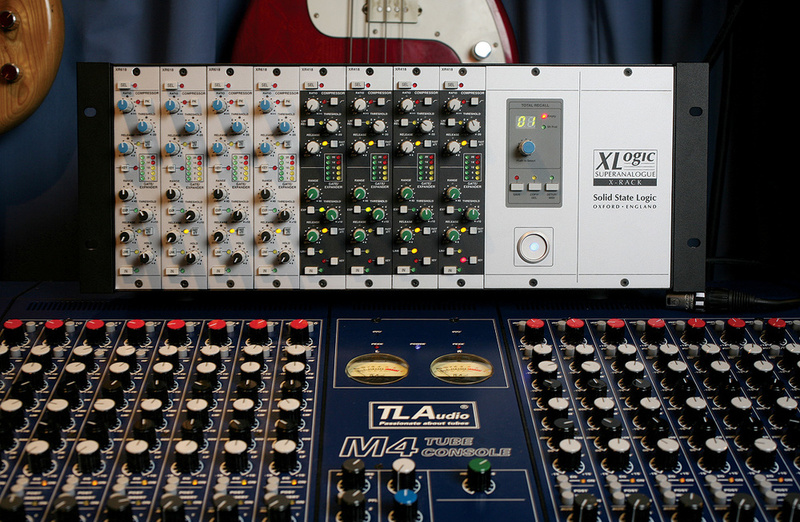 "After owning my own MCI desk for some years, I find I'm mixing in the box most of the time now, often in conjunction with a Neve sidecar that I have. My training was analogue‑based, so I always gravitate toward that sort of vintage sound. In practice, this means that when I'm mixing just in Tools, I use quite a lot of distortion to give things guts. "I have EAR 660 limiters which I use for vocals and bass, and a pair of old Pye limiters, which are really vibey when you need that punch. Although, alongside that I'll use Sugar Bytes' Vogue, which is an amazing channel strip — the plate is second to none — and also the Massey Limiters, which are really good. "From a practical point of view, the first thing I do is get all the faders up and see what everything is doing. I'll then basically start submixing groups like drums, bass and so on, and treating those while still having everything else in to keep an eye on the bigger picture. I'll usually have a mult of the drum bus, heavily compressed and EQ'ed, tucked in there for a bit of excitement, and then a couple of delays and a short and a long plate. Unsurprisingly, Rankin chose to prune the selection of drum mics to a more manageable quotient at the mix. "There were quite a few options, but I gravitated toward using as few as possible. When we recorded 'Stay Too Long' [one of the other Epworth/Rankin tracks on the album], we had the overheads in the Glyn Johns position — one over the snare, panned right, and one equidistant by the floor tom, panned left, plus kick, snare, a mic in front of the kit smashed through a compressor and one distant ambient mic. When it came to mixing the other tracks I was looking for a similar vibe, so I'd use the kick and snare, both augmented with a choice sample, but then probably no other close mics, just an overhead or two and maybe an ambient mic. These would have gone through the Pye, and then the whole kit bussed and compressed and then distorted using Lo‑Fi or Izotope Vinyl, and there would maybe be a mult compressed and EQ'ed heavily.